A high intensity LED array incorporated into outdoor advertising banners, for install all over Europe in prime roadside advertising locations; requiring long life, high power LED power technology. Packed with professional, high brightness and expensive LED arrays a high reliability power product was required, that was also designed for outdoor applications. IP Rated, high reliability LED driver perfectly suited for the potentially damp and wet environments , with extended warranty and high power factor correction. PowerLed’s pedigree in the industrial power sector gives our customers full confidence in product performance and durability. PowerLed have been working with a manufacturing partner to many of the true global leaders in the outdoor advertising arena as they develop and install greener billboard solutions. As LED technology now reaches new markets and applications our client has developed a high intensity LED array to incorporate in outdoor advertising banners, which are being installed all over Europe in prime roadside advertising locations. This allows clients a Premium product utilising the full potential of long life, high power LED technology while utilising the energy savings and CO2 reductions available. 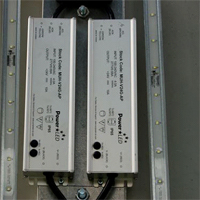 The Large format outdoor advertising displays are packed with professional, high brightness and expensive LED arrays meaning a high reliability power product is required, as down time on illumination is costly and often roadways need to be closed and specialist access equipment is needed if a failure occurs. 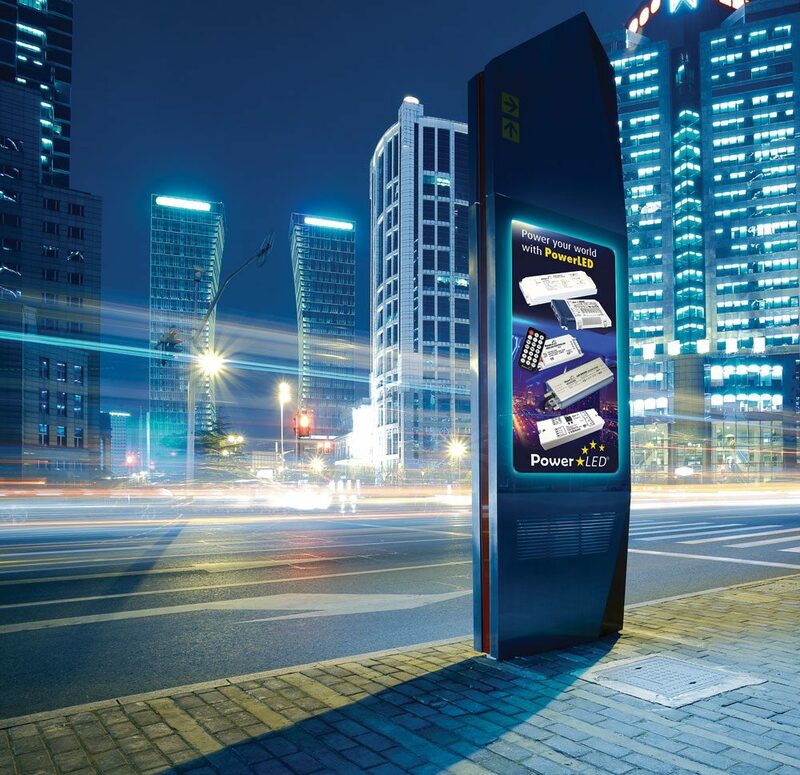 During consultations regarding the LED outdoor advertising requirements we identified the PowerLed MUH-V24G-AP, a 240W/24V LED power supply designed for outdoor applications, as a suitable fit for the application. The product was the best suited within the market and at the right price point to achieve the lifetime expectancy and efficiency levels of such a high end application. Being IP Rated made the MUH perfectly suited for the potentially damp and wet environments of install but alongside the extended warranty and high power factor correction it was clear they were working with a ‘best in class’ solution and this coupled with PowerLed’s pedigree in the industrial power sector meant they had full confidence in the product performance and durability in the given environment.